Perfect for tired and hot feet, this detoxifying pedicure begins with a dry glove exfoliation for smooth skin, then essences of rosemary and mint will awaken the senses in a foot and leg wrap, while hands are bathed in a steam towel and massaged. Toes are groomed and polished. A rejuvenating and nurturing foot treatment that uses the healing touch and plant ingredients of the Caribbean to improve the condition of the nails, cuticles, hands and feet. A special exfoliating paste and warm seaweed masque combine with Caribbean techniques to smooth and soften, relax and renew. 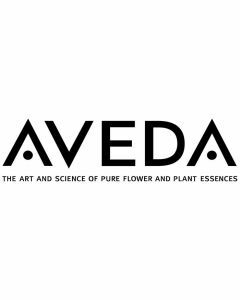 Enjoy the cool, revitalizing tingle from this Aveda signature service. An invigorating salt scrub, infused with Peppermint oils, is followed by a hydrating masque and Rosemary Mint hand and foot massage. Hands will feel renewed and refreshed with shaping, soaking, exfoliation, hot towels, massage, cuticle minimizing, and buff or polish of choice. Nail and cuticle care as well as exfoliation, massage, warm towels, and polish complete your experience. 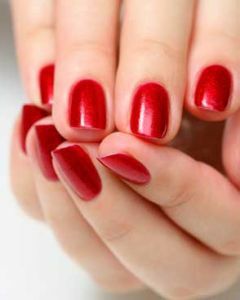 This hand treatment includes a hand care and soothing hand massage followed by your polish of choice. Personalize your manicure with expert nail art! 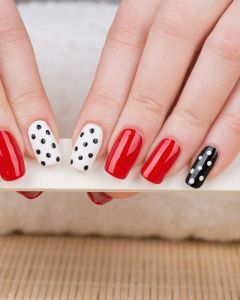 Our nail technicians are familiar with the most popular and trendy designs, from glitter nails to fun patterned nails! Bring your ideas along with you and we will craft your ideas into artistic nail art!